Social Media Program for California Drug Rehab facility reaching younger audiences as surge in teen and preteen addiction rates raises questions. We are seeing drug and alcohol addicts come in through the door, finish a 90 day program, and earn a year or two of sobriety all before reaching their 18th birthday. Recent studies in the fields of drug and alcohol treatment have concluded that children are experimenting with substance abuse at far younger rates then that of previous generations. Recent analysis from an Orange County Drug Treatment Center's Facebook page has indeed confirmed the numbers of teens and young adults interested in treatment is no quirk. 449Recovery, an innovative drug and alcohol treatment center located in San Clemente, California released data showing the numbers of preteens and young adults seeking out information about drug detox far outweighed those of their older counterparts on the treatment centers Facebook pages. The Orange County drug and alcohol treatment center uses Facebook as a tool to post daily news links relating to drug and alcohol treatment and recovery news as well as to post archived pod-casts of its internet radio show “The Recovery Road” currently broadcast on BlogTalkRadio.com. A recent examination of data culled from the Facebook page revealed that over 52% of all likes, reaches, and viral campaigns came from males and females ranging from 13-24 years of age far surpassing the total make up of every other age demographic combined for the California Drug Rehab center. Recent show topics and trends have confirmed that the typical age at which addicts began the cycle of drug and alcohol use can be started as young as 11 and 12 years old. More points of interest for 449Recovery's awareness of juvenile drug abuse came from a startling admission from a recent guest on the Orange County Rehab program's Radio Show who admitted his interest in drug use stemmed from the DARE program's information regarding LSD and whether or not drug awareness at early ages may be having some unintended consequences. "Are you kidding? Programs like DARE! encouraged curiosity. My friends and I would hear some of these descriptions and think, 'You know, that sounds kinda cool actually'. And when we didn't go to jail, go crazy, or end up in the hospital like they told us, we thought the whole thing was a lie," said caller and former drug addict Rick B. “Once I started using pot and alcohol I questioned everything taught in the DARE program where I treated hard drugs like heroin, opiates, and meth with the same breath as marijuana and alcohol.” Ricks story was not alone. Several other guests and visitors on the 449Recovery Facebook page have confirmed the notion that youngsters experimenting with drugs is becoming more problematic. Said 449Recovery founder and CEO Rodney Robinson,"Without a doubt, our youth are coming into treatment at increasingly younger ages. A lot of people mistake addiction and alcoholism in teens as part of a phase, but often the problems run a lot deeper than that. Especially when they are coming into treatment in their early teens and even younger. We are seeing drug and alcohol addicts come in through the door, finish a 90 day program, and earn a year or two of sobriety all before reaching their 18th birthday. I mean, we have 15 year old kids entering into our opiate addiction detox program. In my close to 30 years as a counselor, it's a trend that we should be concerned about. " For More information about drug and alcohol treatment go to www dot 449Recovery dot org or call 855-449-4490. 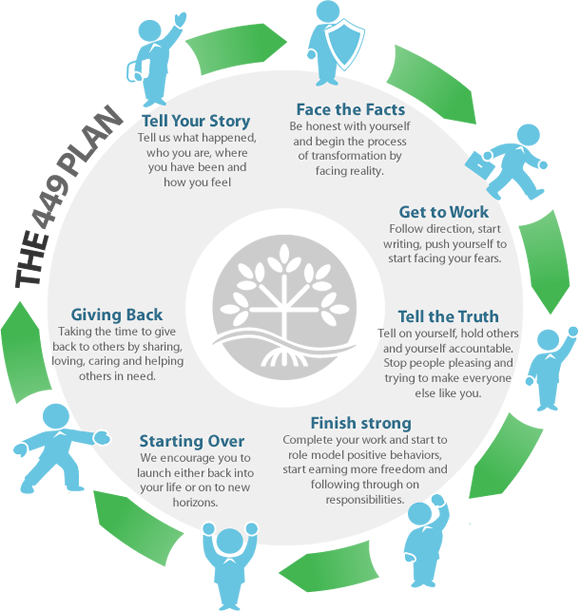 449Recovery is Orange County's innovative leader for drug and alcohol addiction.